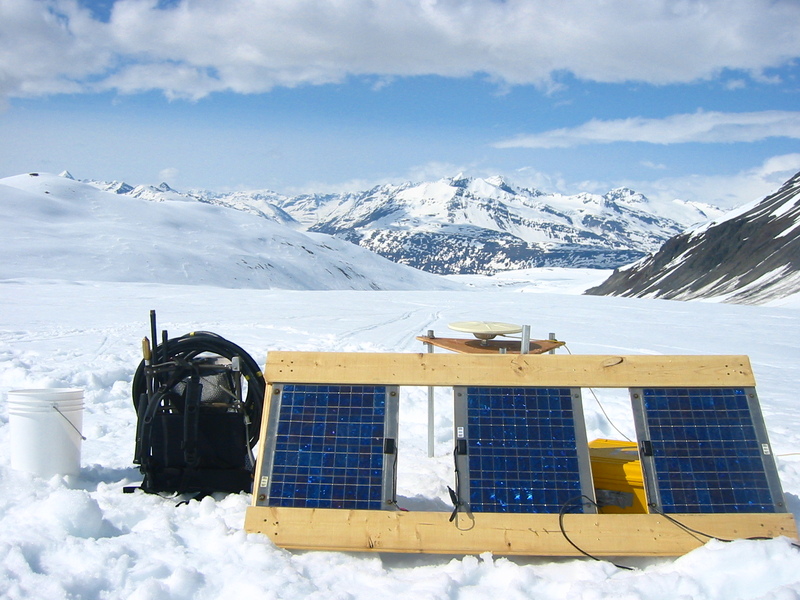 Four Trimble 5700 GPS receivers were deployed on Bench Glacier (Chugach Range, Alaska) near Valdez, with a fifth receiver serving as the reference base station on bedrock. Shad O'Neel provided field support to deploy the receivers. The project measures precise uplift and surface strains associated with the passage of a seasonal wave measured last year by Robert Anderson. A robotic total station is used to track 25 points on the glacier surface within a region ca. 500 m on a side, and continuous GPS measurements within that same confined region provide closely-spaced control points on the glacier surface. Used together the GPS provides reference and control for the optical survey and the optical survey extends the areal coverage of the small number of GPS receivers over a wider area. In September three of the receivers were retrieved, while two were left on-site to collect data into the winter.